Although useful, don’t put all your eggs in one basket! Vehicle history reports provided by companies such as Carfax and Autocheck do contain useful information about a vehicles past however these reports may be incomplete as not everything is reported to those companies. Let me explain. Both Carfax and Autocheck are privately held companies and not some government regulated entity where a car’s history is forced to be recorded. The way companies like them obtain information is by paying for it. For example, if your vehicle is involved in an accident in the state of Utah and the local reporting agency does not do business with any of them, that collision record will never be forwarded to a history record. This also applies to service centers and collision shops. 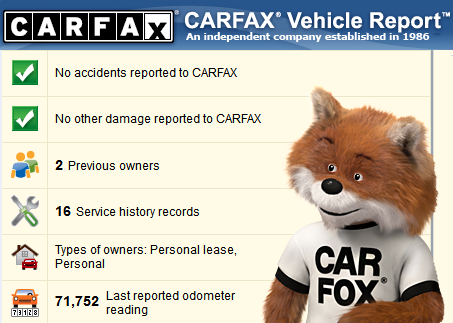 If there’s no business arrangement with Carfax or Autocheck, collision and service records will never be updated. A car, truck or van can be involved in a severe accident where the airbags deploy while sustaining frame damage, and never show up on record. Another problem falls into play as vehicle history reports are constantly being updated and a negative incident from years back can show up at any time. Think about it. You buy a car from a local dealer and they show you a clean Carfax history report. You go to sell the car 5 years later and a vehicle crash shows up on Carfax 3 years after you purchased the car. You remember seeing the clean Carfax report from the dealer and wonder how that happened. Vehicle history reporting companies are always looking for new business, a new client can release old records to them paying 10 to 25 cents per document thus depreciating your car. Years’ worth of old documents now show up as new records. Because there is no absolute perfect way to know a used vehicles history, history reports are a good tool getting you a general idea of what type of vehicle you are purchasing. One tip is to run your finger around the edges of painted panels on the vehicle. If the panels are smooth, good chance its factory paint and there was no prior collision. If the edges feel abrasive or rigid, there’s a good chance the vehicle was repainted. RCO Cash for Cars does its best at providing the general public useful information and tips when in the automotive world. If you have a car, truck or van that you need to sell for cash. We may be able to help. 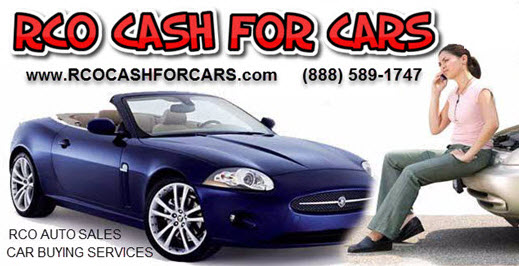 We buy all types of new, used, leased, financed and junk cars. For a free online quote, please fill out this short questionnaire and one of our reps will get back to you as soon as possible.